Horah reflects on the theme of light in dialog with one of the essential aspects of contemporary living: sociability. Inspired by Horah, the Israeli dance, London-based design duo Raw-Edges explore an ongoing theme of repetition with a lighting installation that is imbued with an essential quality in the dance: conviviality. Crafted and engineered by WonderGlass, each lamp features curving glass "leaves" attached to a pivoting motor, the glass sections expertly composed using glass casting techniques. Light is concealed at the centre, creating a gradient of illumination. 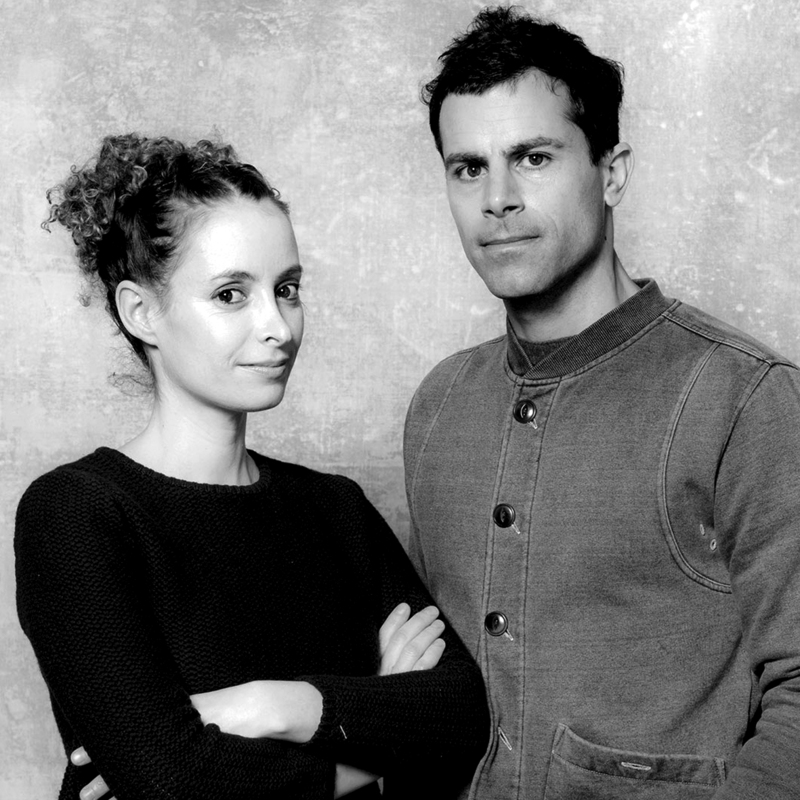 After graduating from the Royal College of Art in 2007, Yael and Shay set up a design studio where their imaginations could take flight: furniture, installations, and products began to develop with a strong accent on playfulness and childlike wonder. The studio became a place where curiosity would be a prevalent factor in the creation of their designs, a place where they could embark on a continuous journey of discovery, turning the world upside down and inside out, cracking things open and studying their structure, always striving for surprise, wonder, humour. Colours, patternmaking and movement form a large part of the DNA at Raw-Edges. The ideas of energy and provocative illusion are aimed at bringing out the kid in all of us who engage with it, an ongoing battle against boredom perhaps! Some ideas include pouring expandable foam into folded paper cavities, cooking timber in boiling dyes, and making paper moulds for the production of industrial ceramic tiles.